Congratulations Jacobs Zate Cricket Club!!! We are pleased to announce that JACOBS ZATE won the FINAL against defending champion. The final match was played on Saturday, March 18, 2017 in Kanoo Cricket Grounds. 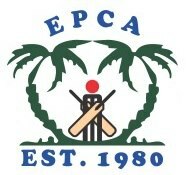 It is second (2) Jacobs Zate victory in the fourth (4th) annual EPCA-GES & Corporate Cricket Tournament. An excellent final match played between Jacobs ZATE and Pan Gulf. Both teams played brilliantly from start till end. PG won the toss and elected to bowl first. Very good bowling from PG as Jacobs Zate lost 2 early wickets in 3rd over for mere10 runs. JZ scored 54 in their first 10 overs for the loss of 3 wickets. In last ten overs Anis, Iftikhar and Safdar played well and JZ reached to the total of 157 runs in 20 overs for the loss of 7 wickets. It appeared like PG can achieve this target easily but JZ also bowled well and got 2 wickets in 5 overs for 36 runs. Mohsin and Waseem played excellent according to average and made a partnership of 102 runs. PG scored 69 in first 10 overs and 136 in 18 overs for the loss of 2 wickets. It was a nail-biting situation in the last 2 overs requiring 12 balls 22 runs for PG and 8 wickets in hand. Exceptional bowling in death overs from Thofeeq and Ali Iftikhar and restricted PG to 145 runs in 20 overs for the loss of 4 wickets. A great captaincy from Dildar Hussain who kept on shuffling the bowlers and did the trick for JZ. At last Jacobs ZATE defeated the defending champions and won the FINAL by 12 runs. Congratulations to Jacobs ZATE on the great win. Muhammad Anis from Jacobs ZATE declared the Man of the Match on the all-rounding performance. Dildar Hussain from Jacobs ZATE declared the Best Captain of the tournament. Mohsin Saleem from JGC-Alnaimi declared the Highest Scorer of the tournament. Sajid Khan from Pan Gulf declared the Highest Wicket taker bowler of the tournament. Excellent Umpiring from EPCA umpires Mr. Khalil, Qamar, Tanveer and Raheel. EPCA-GES & Corporate Cricket Tournament 2017 was played among the following eight (8) Teams.